Other things you put in the storage items that are going to deal with much later or will you be constantly going in and out to access some of that stuff? That should determine where your storage facility should be located. You don’t want to drive across town to pick up a few things. Fortunately, no matter where you live, chances are there will be a storage unit facility within a few miles. 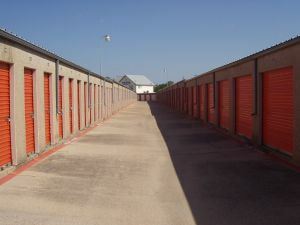 Every storage unit facility offers a variety of spaces in all different sizes. It might help for you to go and walk out the space and measured for yourself before deciding on which one works best for you. If you’re in a situation where you can project that you’re going to be adding your storage unit, then it might be best to get the next size up. You don’t want to constantly be moving in and out of a storage unit. Many storage units allow for 24-hour access. However, some facilities are more restricted. They may even charge fees for after business hours access. You shouldn’t have to pay to get to your home stuff. But also be practical. Do you really need to go to your storage unit at three in the morning? If you are planning to put anything in storage that you would consider delicate like an antique furniture or collectibles, then you might want to look into a climate control unit. That can prevent what you have in storage from being warped by humidity. That’s a major consideration especially in the summertime. You want to be smart about your packing. Not only should you keep an inventory of the boxes that you putting in there but also you don’t want to pack any rubbish. As you sort through your belongings at home, you may want to put Junk King Hudson Valley on standby. These are the junk hauling experts who will quickly dispatch a pair of movers and a big truck to your home to pick up all the stuff you want to get rid of. Don’t pay to put junk in storage. Give it all to Junk King Hudson Valley instead. This entry was posted in Hudson Valley Junk Removal and tagged clutter, Junk King Hudson Valley, junk removal, rubbish, storage unit on July 31, 2017 by Junk King. Last updated August 1, 2017 .